600 Muslims houses, almost the whole village in Tha Byut Chyine village at Shwe Hley district in Thandwe township were burnt down to ash villagers were desperately running away for life. 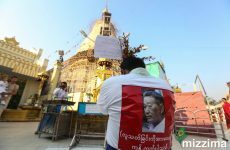 A resident of Tha Byut Chyine told that there were 1,200 Rakhine extremists attacking and setting fire to Muslims houses in Tha Byut Chyine. In the mean time,60 houses in Paut Thaw village were burnt down so far and the all the villagers were leaving the village to escape the attacks. A source from Paut Thaw,3,000 extremists in full force were heading to Shwe Hley, another Muslims village. 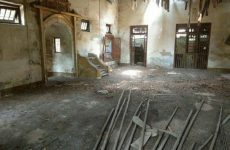 Residents from Thandwe said, although such violence attacks to Muslims were happening continuously, police and security forces were not doing anything to protect Muslims or to contain the situation in order.There was absolutely no rule of law and these Rakhine extremists could roam around and terrorize at will.Situation is very bad and extremely dangerous for Muslims there. Although Section 144 was in place in Thandwe,it didn’t stop and violence attack continued . 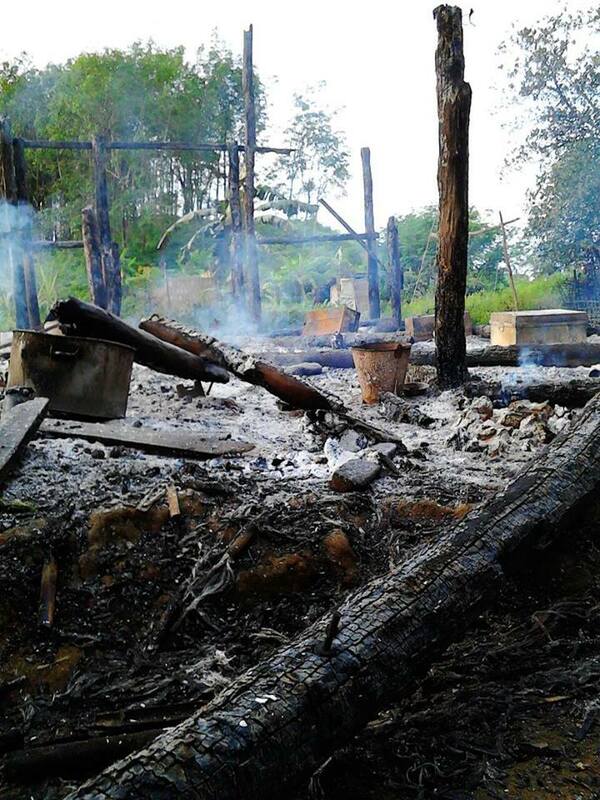 Photo: Burnt Muslims’ houses by violence attack at Tha Byut Chyine village on early morning 1st Oct.